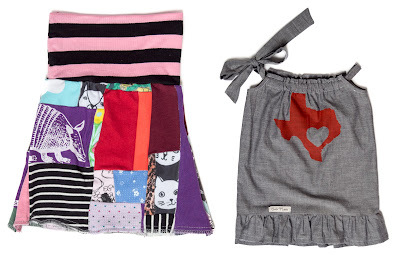 Cute & Colorful Clothing for Girls, Pets & Matching Moms. Mix of Patterned & Printed Fabrics for Fun, Playful Outfits. Cute and comfortable clothing that's handmade and high quality? Seems like too much to ask, but not if you're Erica Burns of Gwen Maddie, a local brand of handmade girls active wear! This Austin artist got her start as a student of apparel design and then worked in the costume industry for years. After shifting her focus to raising a family, she decided to apply her skills to clothing that her little girls could enjoy. She has first hand experience with the type of apparel that kids need for running around and enjoying playtime. One of her signature lines includes yoga skirts, stretchy and comfy enough for just about any activity. Erica also has a keen eye for how to make those functional items into wearable works of art. As she puts it, the goal is durability while maintaining a sense of whimsy. What's the fun in wearing something that doesn't show off your personality? That's as true for children as adults! 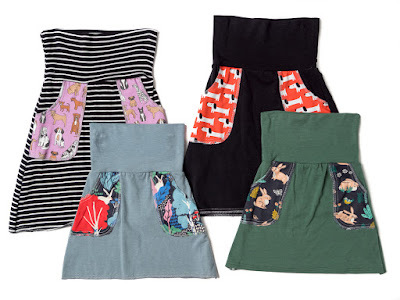 Gwen Maddie dresses, shirts and skirts are colorful and creatively designed. Some of her most striking pieces result from an eclectic mix of patterned fabrics. 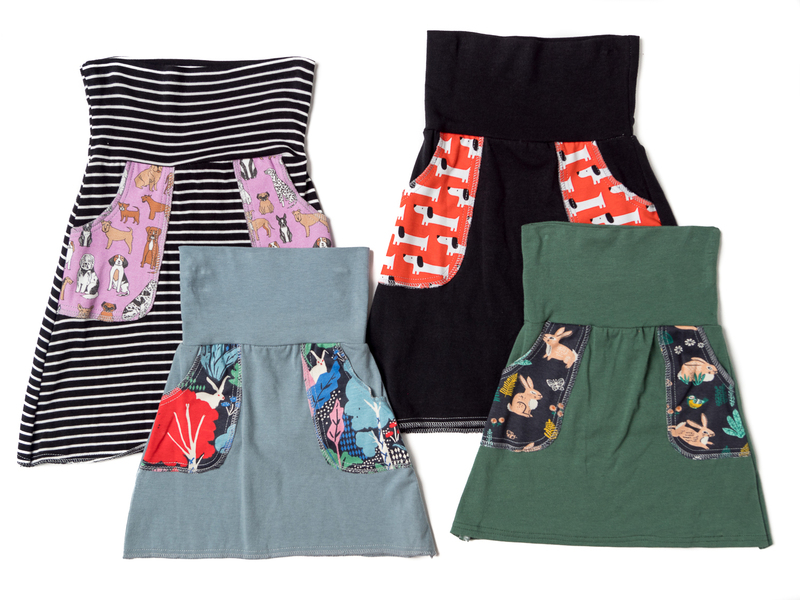 As such, each one is hand sewn and one-of-a-kind. I feel like Erica has found a way to make patchwork relevant and in keeping with today's style trends. Erica also adds her own flair to certain outfits with hand printed embellishments, usually with a Texan twist. 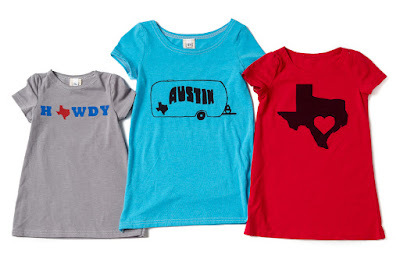 Armadillos, airstream trailers, our state with a heart, Howdy and more! If you don't have kids, you can enjoy Erica's same characteristic style in fur baby clothes! My little Dulce had the unique chance to pose in a Gwen Maddie original, and she's never looked cuter! While pictures will show you the colorful, fun nature of Erica's clothing, you can't deny how soft they are when pick one up in person. I would proudly clothe any of my kids (or nieces and nephews since they will probably come first) in Gwen Maddie originals, knowing they'll be cute, comfortable and free to be kids!